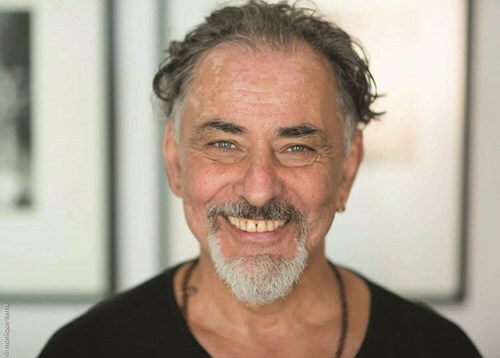 Immerse yourself in a vibrant learning field of dance and presence with Arjuna, internationally loved master teacher and artistic director of Soul Motion Conscious Dance. This is a rare opportunity to receive the distilled wisdom of Arjuna’s life’s work for the first time in Australia’s capital. You have a choice to join the whole two days or come to either days. In this movement workshop, ' Eyes of a dancer', we are invited to begin seeing with the eyes of our whole body. We will learn to experience ourselves and the room not just with our sight, but with the unique vision of our fingertips and our hearts, the soles of our feet and our hips. Through this intimate physical connection we bridge the places in-between with moving awareness that enriches our whole being. Needing only willing participation and a desire to relax into the present movement moment, people arrive in new relationships to their bodies, souls and the world. “Soul Motion is a conscious dance practice that utilises facilitated and unscripted movement, recorded music from all genres, and stillness practice to access creativity, cultivate healthy relationships, and dialogue with that divine spark that animates all living things," Vinn Arjuna Martí. - Soul Motion will transform the way you move across the room and the way you move through your life.